Accueil Discover our most beautiful experiences Every season equals total pleasure Activities on land and sea Farewell down jackets, sweaters and scarves! 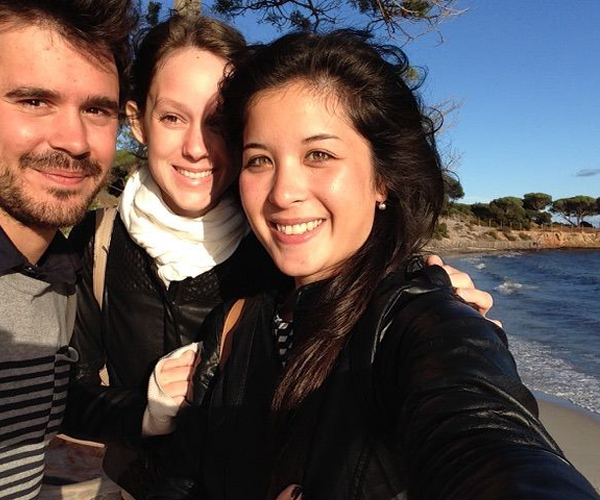 In April, just before the exams, what a better idea than to getaway for 4 days to clear my mind with some friends, Myriam, Alicia, Quentin and Léo! We now have the difficult choice of which destination to choose… After some discussion, we have agreed not to leave the country, but to choose a destination in the southern part of France. 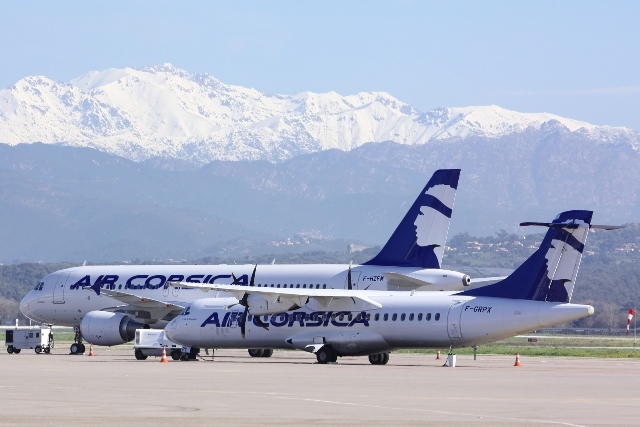 So why not choose Corsica? As in April the weather is already warm. As soon as we arrive in Corsica, we hurry to hire a car and then off to Bonifacio! In less than half an hour, here we are! 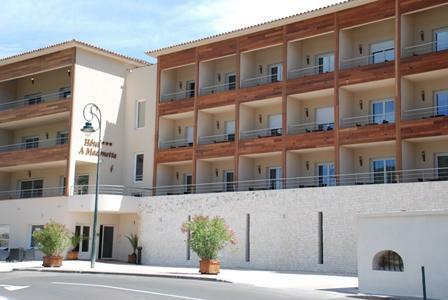 We found a cute small hotel where we leave our baggage and off we go to the port only a few 100 metres away. On the shop windows, I see a blue poster depicting a dog wearing red sunglasses on a yellow surfboard. Super idea for this publicity! I love animals, so this cute little dog awakened my curiosity. I looked a little closer to find out what “Priority to activities in April” is all about. “Activities? – That’s what we need!” We immediately go the Tourist Office where a charming hostess provides a brochure, a special edition for April: 40 pages of photos and information. 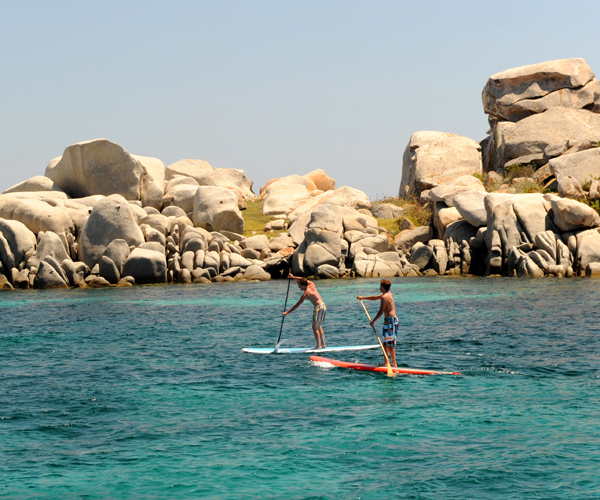 We quickly make up our minds: the adventure park in l’Ospedale in the morning and kayak, stand-up paddle on the turquoise waters of the Piantarella lagoon in the afternoon. 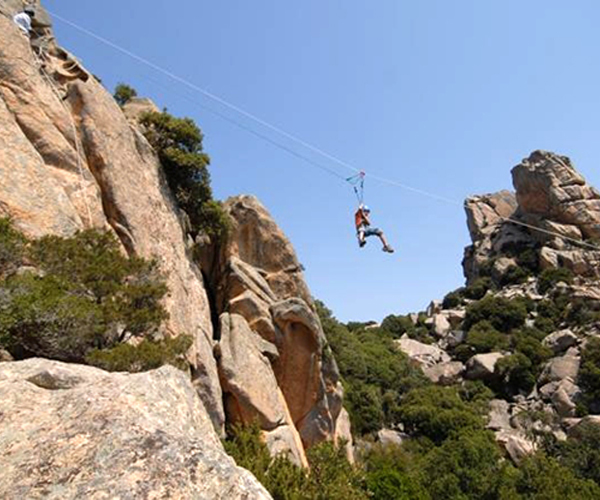 Once arrived at the adventure park, we are equipped from head to foot and ready to go. 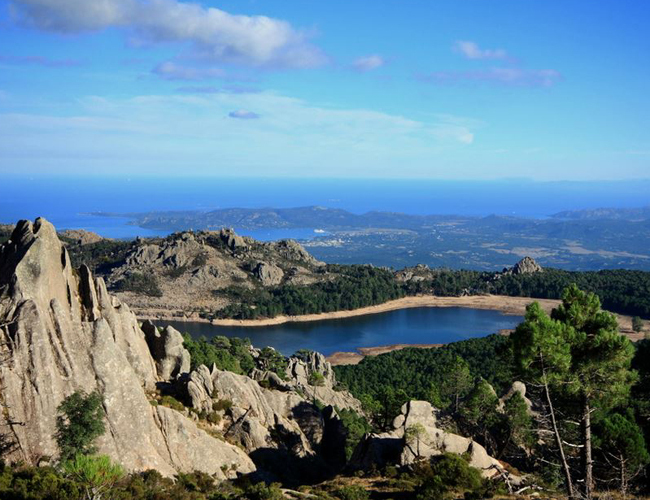 Once on the way, a sumptuous panorama with a stunning view of Southern Corsica and Sardinia. 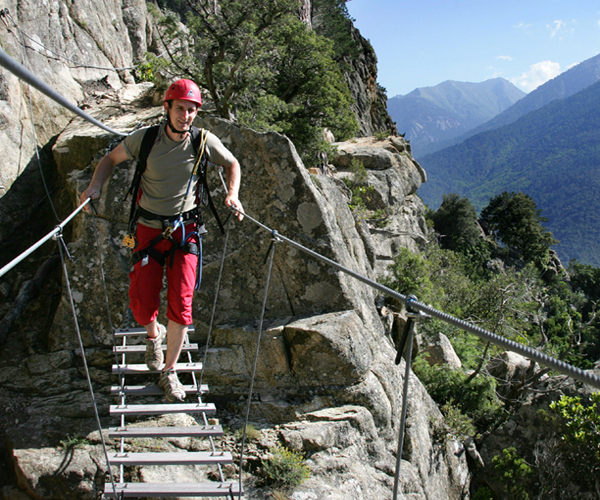 We continue with the Tyrolienne descent to return to our starting point – Totally amazing! Time flies, we have to get back in time for our kayak excursion in the heart of the Nature Reserve of the Strait of Bonifacio. 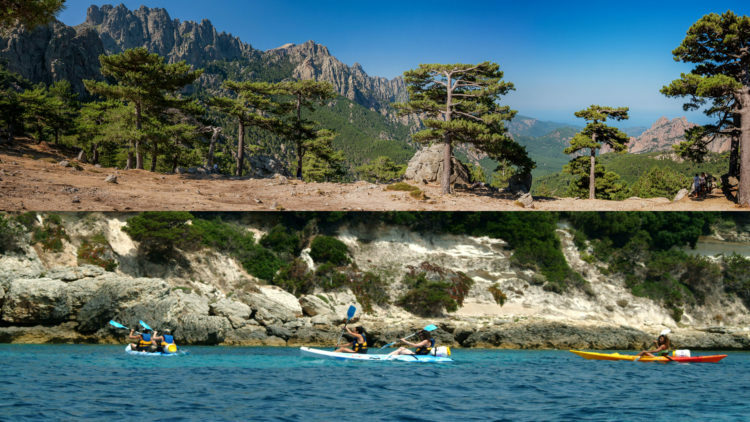 Once at Piantarella beach, we go for the hour-long kayak excursion and the additional free of charge hour of stand-up paddle as indicated in the brochure. This Tourist Office brochure is really great! Yes, the water is fresh, but I encourage my friends by listing its benefits. And finally, we all get used to the freshness of the water, after all it’s not the North Pole! Here we are on the turquoise waters, and watch the fish and occasionally even touch them. The hour-long kayak excursion is over, now for the stand-up paddle, which is a novelty for all. I find it a bit complicated, as I don’t have much strength in my arms; I am all over the place. On the way back, I take a selfie with Myriam to immortalise this moment; I am going to publish it on the social medias, not forgetting #Bonifacio Tourism, and I can enter the photo contest organised by the Tourist Office. Back to the hotel and we review our day (rapidly flown by): emotions, unique landscapes, unforgettable moments… 4 days will definitely not be enough!